The Chrislea Aircraft Company was founded in 1936 by R. C. Christoforides and B. V. Leak and designed several low and high wing light aircraft designs. Bernard Leak left to join Folland Aircraft Co at outbreak of WWII in 1939, and after the war Christoforides continued with his own aircraft designs. A prototype CH.3 Ace was built at Heston and first flew in September 1946. Its conventional tailplane showed inadequate directional stablity and was replaced by twin fins and rudders. There was early interest in this new postwar British 4 seater with attractive features such as tricyle undercarriage and a roomy raised cabin with all-round views. Development of Heathrow Airport forced Chrislea to move out of its premises at Heston to Exeter Airport where the company established a production line of a revised model CH.3 Series 2 Super Ace, powered by a 145hp DH Gipsy Major 10 engine. The first Super Ace was G-AKFD, which first flew in February 1948 and after performance trials was issued a CofA on 7 May 1948. It became the company demonstrator, showing the Christoforides patented non-conventional flying control system in which the circular control wheel was moved up-and-down, side to side and in and out. The engine throttle was operated by a foot control. These unorthodox flying controls were controversial and generally disliked, so all production aircraft were modified on the line by replacing the sideways movement of the control wheel by foot rudder pedals, but elevator control was still by wheel up and down instead of the usual in and out. The prototype was retrofitted before it was shipped to Australia. Chrislea planned a production run of 30 aircraft but only 20 Super Aces were delivered, mostly overseas. A promising order for 4 Super Aces for New Zealand was later halved. 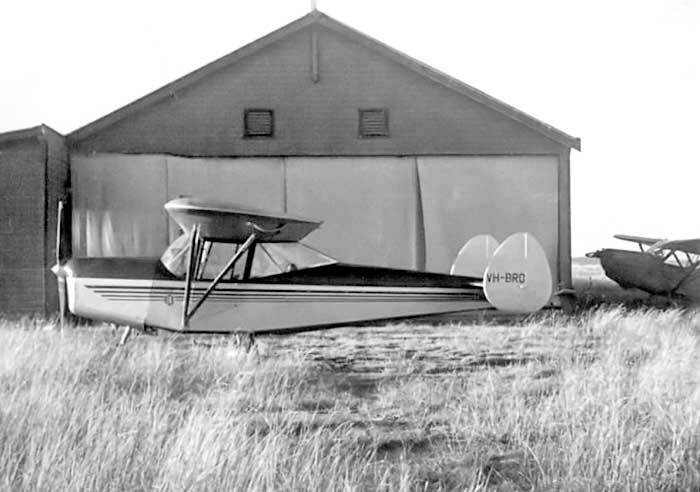 A tailwheel utility version was produced, named CH.3 Series 4 Skyjeep, with a more powerful 155hp Blackburn Cirrus Major III engine and featured broader fins and rudders, wider track main undercarriage and rear fuselage decking which hinged upwards to allow a stretcher patient to be loaded from the rear. The Skyjeep was fitted with a joystick and conventional controls. Chrislea Aircraft Co laid down five Skyjeeps on the production line but only two were completed. The Chrislea Aircraft Company was wound up in 1952 and the remaining uncompleted airframes were scrapped. Brown & Dureau Ltd, an established Melbourne aviation agency specialising in importing aircraft, engines and spare parts, was appointed Australian agent for Chrislea. They immediately ordered a Super Ace, and requested the registration VH-BRO to signify the company name. An advertising campaign resulted in this first Super Ace being sold to a Queensland grazier before it arrived at Port Melbourne and assembled at Essendon Airport in March 1949. Brown & Dureau Ltd ordered a second Super Ace, accepting the prototype after its was fitted with conventional flying controls. It was allocated the registration VH-BRP but was destroyed in a deck cargo fire while the ship was docked at Port Said, Egypt. 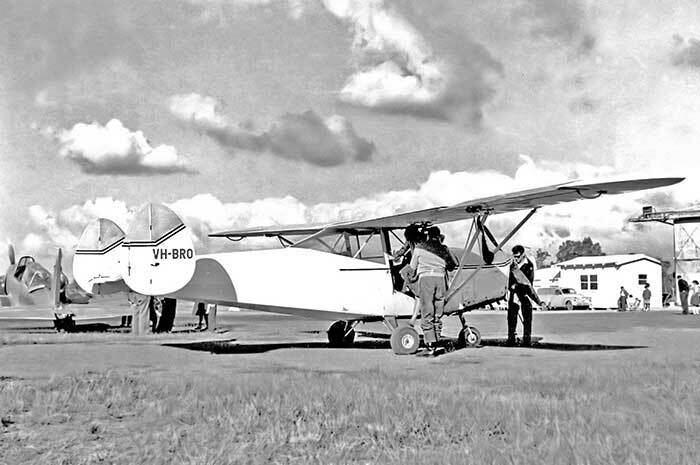 It was replaced with an order for a tail wheel Skyjeep and the registration VH-BRP was transferred to the Skjeep, which was assembled at Brisbane-Archerfield in January 1952 for a Queensland outback property owner. Two other Australia Super Aces were second-hand imports later in the 1950s. 10.48 Australian DCA allocated out-of-sequence registration VH-BRO at the request of Brown & Dureau Ltd.
19.3.49 Testflown Essendon after assembly, silver with blue trim. 25.3.49 Departed Essendon on delivery flight to Queensland, flown by Group Captain Norman Adler, Technical Manager of Brown & Dureau's Aviation Division. Green also owned Tiger Moth VH-BIN. 2.50 Green wrote to DCA advising that he wished to fit a different propeller because he is not obtaining satisfactory cruising speeds at specified cruising RPM. The existing propeller suffers continuous gravel damage on unmade airstrips due to its diameter, which gives low ground clearance. 20.7.50 Forced landing on "Bora" Station Qld due to failure of the tip of a propeller blade which resulted in structural failure of the engine mounts when the engine was pulled from the mounts, pilot R. L. Green. Further damage sustained in the forced landing. Air Mech was a subsidiary company of Fawcett Aviation Pty Ltd, Bankstown who operated the successful Illawarra Flying School, Bankstown. "Although we had the six Tiger Moths, it was obvious we needed some different types of aircraft to allow the pilots to further their experience. So we purchased, over a period, six Austers, a Chipmunk, and a Fairchild Argus plus the odd aircraft we kept for a short time. I traded my 30 foot DC-3 motor home for a three-seater high wing Desoutter and a Chrislea Ace. The British built Chrislea was an unusual aircraft and its controls were not standard. The rudders were operated like organ pedals with the front section moving up and down - pushing the right pedal down moved the right rudder to the right and vice versa. The elevators were operated by moving the control wheel up for elevator down, and down for elevator up, which was all very confusing. We did not keep it for long." 8.7.67 noted on "Rockdale" Research Station near Yanco NSW, complete but retired. Rear cabin perspex had been covered over by fabric. The Chrislea was parked in a shed, with the wreck of DH.83 Fox Moth VH-GAS which crashed near here in October 1962. Short Scion VH-UTV was purchased from Hodgekiss at the same time and both were collected in Sydney by Nick & Greg Challinor of Murwillumbah NSW for Cliff and moved by truck from Sydney to Tallebudgera. Acquired unrestored to Gary Volkers, Sydney. Moved from Tallebudgera to Sydney, stored dismantled at Scheyville, western Sydney. Held under cover in storage in sheds with Historical Aircraft Restoration Society aircraft collection. Reported that Gary Volkers was acting as an agent for Cliff Douglas in disposing of some of his CGFAM aircraft after the museum closed. 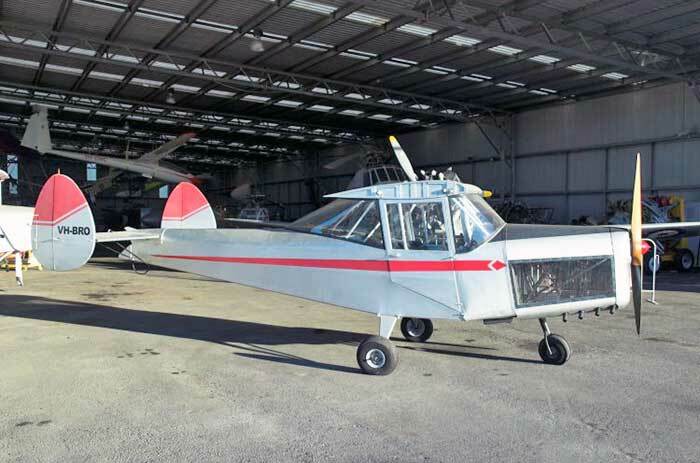 4.92 Sold to Queensland Air Museum, Caloundra Qld. Aircraft is missing engine, wheels and fabric. 1.04 Wings moved from a member's house to display site at Caloundra Airport where they were stored inside a shipping container. All components later stored on site at QAM Caloundra. 8.6.49 Struck-off British Register as "sold abroad to VH-BRP"
.51 Built by Chrislea Aircraft Ltd at Exeter Airport, Devon. 155hp Blackburn Cirrus Major 3. 27.7.51 Struck-off British Register as "Sold Abroad to VH-BRP"
18.5.55 Struck-off Register as withdrawn from service. 3.12.55 Testflown at Bankstown after engine changed by KSAS to a more powerful 200hp DH Gipsy Six in a deeper cowling. 21.5.56 noted Bankstown, parked outside KSAS hangar with original cabin glazing and rear fuselage. KSAS were specialists in modifications to Austers and other types. VH-RCD was further modified at Bankstown: the hinged rear fuselage spine was raised higher to meet the cabin roof line and the rear cabin window was redesigned. The engine cowling was redesigned and deepened. 15.1.65 noted at Bankstown in Austerserve hangar, dismantled for overhaul but discontinued. Reported as "scattered in parts around the rear of the hangar"
83/87 Restored to airworthy at Bankstown and Bathurst over 4 years by Mick English, Cirrus Major 3 engine. Weight was reduced by using light-weight seats and interior, modern fabrics, and an aluminium turtle deck in place of the steel and timber lift-up turtle deck. 01/03 Moved to Needham's farm at Sleaford where he rebuilt it to immaculate condition. He was a flying enthusiast who had based a Cessna 150, L-21 Super Cub and Cessna L-19 Bird Dog on his farm strip. When the Chrislea was close to completion, David Needham died of an illness on 26 March 2003. His wife Cherith and son Justin oversaw the final stages through to Permit to Fly stage and offered the aircraft for sale. 30.5.04 First test flight after rebuild, at the farm strip Sleaford. Painted in original Chrislea factory scheme of maroon and silver. 19.5.07 G-AKVR flew from its base at Eggesford to a fly-in at Hullavington where it parked alongside two airworthy Super Aces G-AKUW & -AKVF. VH-RCD at Moorabbin 1956, in the Schutt Aircraft hangar. Painted cream and purple with registration in black. Rebuilt in England to original Chrislea Skyjeep configuration and paint scheme, seen in 2008. "The Chrislea Super Ace VR-RBI has been withdrawn from use, lying on top of a pile of ex RAF Auster 5 airframes at Kallang aerodrome, Singapore." 20.10.58 VH-RBI noted at Bankstown, complete, factory paint scheme, obvious overpainting of the VH- from VR-. 1.67 Removed from Archerfield late in month by Camerons, who began constructing a Volmer Sportsman homebuilt amphibian the previous year. Planned to use parts from RBI. 27.4.67 Struck-off Register "due accident"
11.68 VH-RBI's airframe in Cameron's backyard. Wheels had been used on the Volmer. The Chrislea had some parts roughly removed and it had been damaged by their children. A section of the wingspar (T-34 tube girder construction) was welded to the Cameron's car as a roof rack. .77 nose cowl sent to England to Paul Longthorp for his restoration of Super Ace G-AKVF, however it was found to be unusable. Bankstown October 1958 at the Fawcett Aviation hangar. The repaint from VR-RBI to VH-RBI can be clearly seen. Four production Super Aces were ordered by New Zealand for NZ agents Engineering Alliance Ltd, Hastings. Registrations ZK-ASI, ASJ, ASK & ASL were allocated, but the last two orders were cancelled. Registered with modified c/n "129-P-13" for reasons unknown. 21.10.67 noted at Broken Hill NSW, parked in Aero Cub hangar. 24.3.74 displayed in hangar on Joe Drage's farm, Wodonga Vic. Quoted as a recent arrival. 85/96 Static display at Drage Airworld, Wangaratta Vic, later renamed Airworld, Wangaratta Vic. 1.85 Moved from Wodonga to Wangaratta with the rest of the Drage collection. Eight were flown on 27.1.85. 8.96 Auction announced for disposal of 10 aircraft of the Airworld Collection, which had been forced to rationalise to continue. Among the ten aircraft was Chrislea Super Ace VH-BAE which was complete but not airworthy. .96 Moved by road from Wangaratta and stored on a farm. Parked outside Drage's Historic Aircraft Museum hangar on the Drage farm at Wodonga Vic in November 1976. A small aircraft with twin tailplanes was seen by the compiler in the rear of the Austerserve hangar at Bankstown Airport, Sydney in 1963-64. Thought at the time to have been a Chrislea CH-3, it was dismantled and covered with a layer of dust. Austerserve Pty Ltd was an Auster maintenance and parts support operation managed by John T.Brown. The company was established during the 1958 re-organisation of his successful Bankstown business, Kingsford Smith Aviation Service Pty Ltd, which had been the main Auster dealers for Australia. The only identity suggested for another Australian Chrislea was the remains of VH-BRP(1) which was burnt as deck cargo while being shipped to Australia in 1949. However the aircraft is now believed to have been Forney Aircoupe c/n 5709 which was imported in December 1959 by Philip Dulhunty, Sydney in association with Kingsford Smith Flying Service, with whom he had a close working relationship in his various aviation ventures. During unloading from the ship at Sydney wharves the Aircoupe was damaged. A subsequent owner wrote "It arrived at Bankstown Airport and remained in a damaged condition at the rear of the Austerserve hangar for several years. The damage and problems associated with first of type certification eventually meant that the damaged aircraft was transported by road to the third floor Aircraft School at the Ultimo Technical College." 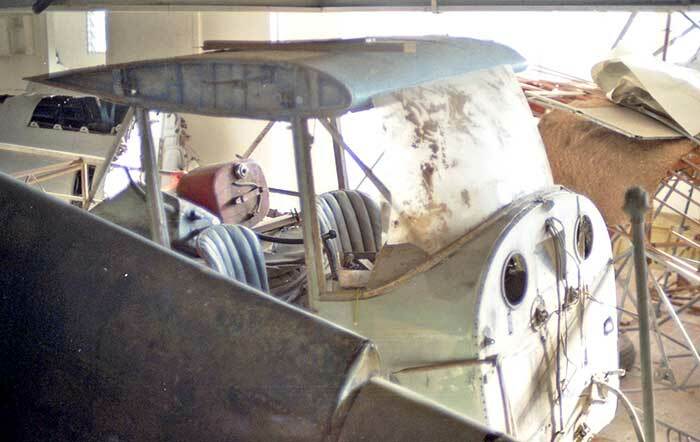 This Aircoupe was to survive 20 years as an instructional airframe, before being acquired and restored to airworthy by Peter Middleton at Wagga NSW. It was completed in 1992 and registered VH-LDN.